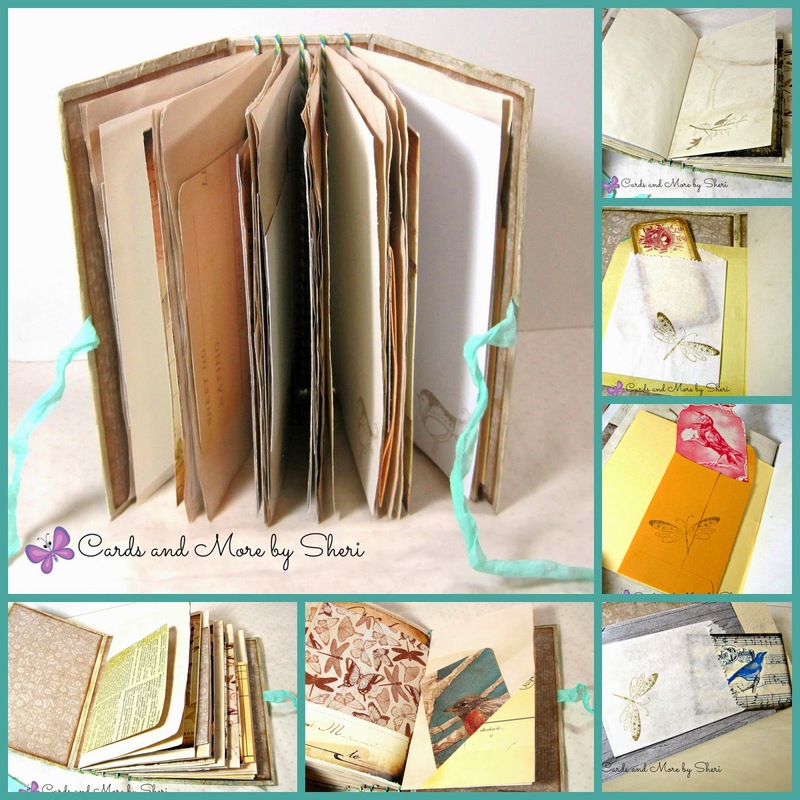 Today I'm sharing with you a "junk journal" I've made for a swap over at Junk Journal Junkies on Facebook. This is actually a swap event that I am hosting. If you'd like to join in, come on over and join the page and then check out the events tab. You'll find all kinds of fun stuff there. So the theme for my swap is On The Wings of Summer. My idea was for folks to think birds, butterflies, dragonflies, bees, etc. All the things of nature we see flying about during the summer months. I actually started this journal several weeks ago, but I hated the cover so very much that I had to walk away from it for a while. To be honest, I didn't actually STOP hating it until it was done. I guess that says something for having perseverance. After I was done messing around with satisfied with the color I had layed down, I moved on to adding texture. I took some light modeling paste and mixed in some champagne shimmer acrylic paint. In hindsight, I wish I hadn't done this. 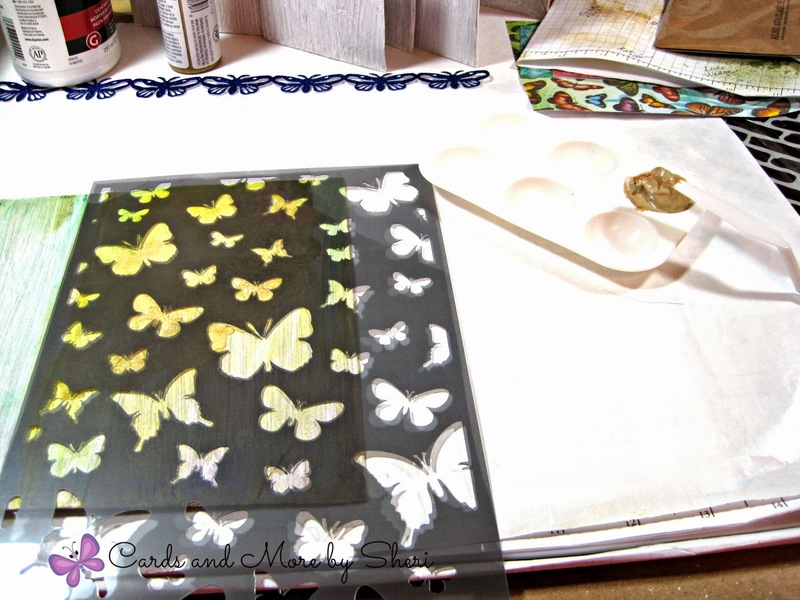 I think it made the paste too thin, and as you can see, I had some "bleed" under my stencil resulting in some smooshy looking butterflies. Again, it's all a learning process! To me, this kind of came out like some nasty baby food color. But as you'll see in later photos, I added a bit of color and shimmer here and there to try and make them look better. 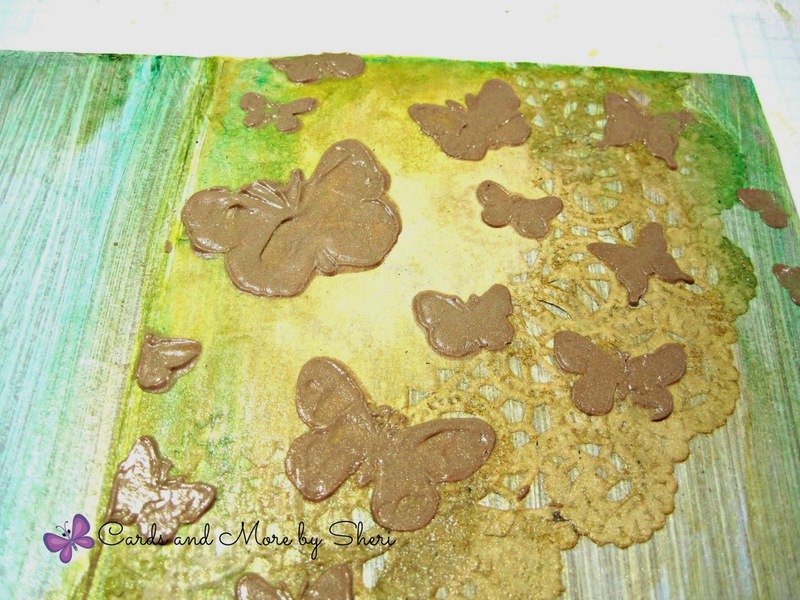 See that strip of purple glitter butterflies at the top of the pictures? I end up cutting one of them off and painting it to add to the cover later. In my warped little head, I figured if I kept adding stuff to this journal cover that it would get better looking and I would like it more. Not so much. 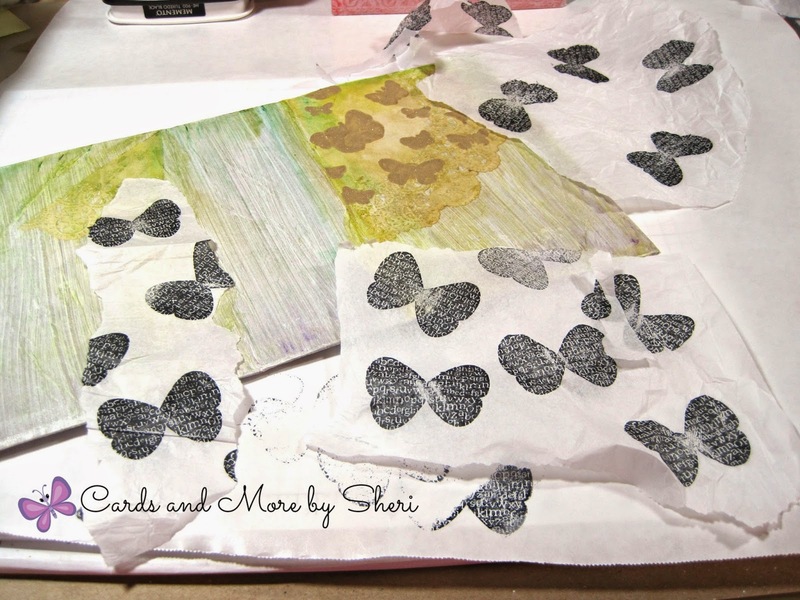 Anyway, I stamped some butterflies on plain old tissue paper with StazOn ink. I then tore some of them into pieces that I attached to the cover with matte gel medium. 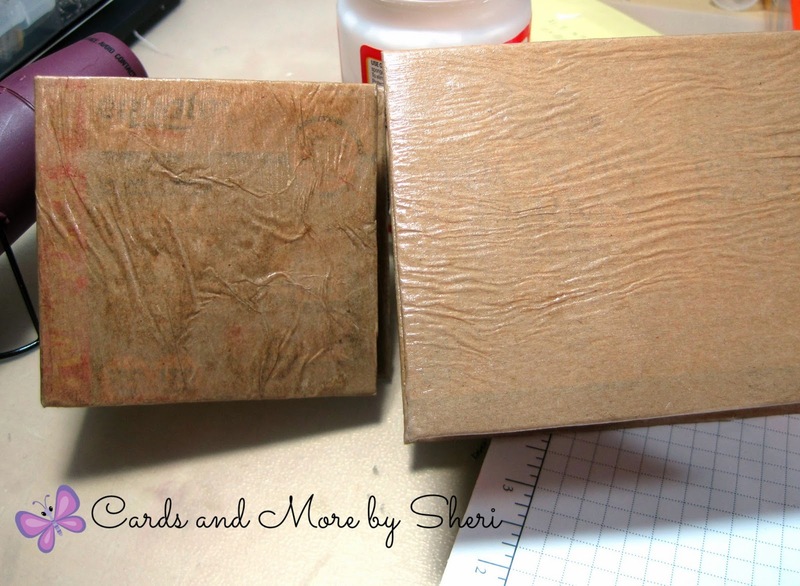 I thought they were way too stark, so I tried to fade them out with a gesso wash. I'm so glad I had the sense to not put any on the front of the cover. Next up -- adding more stuff in the hopes I'll like it more! This time I took that champagne shimmer paint and a stencil. 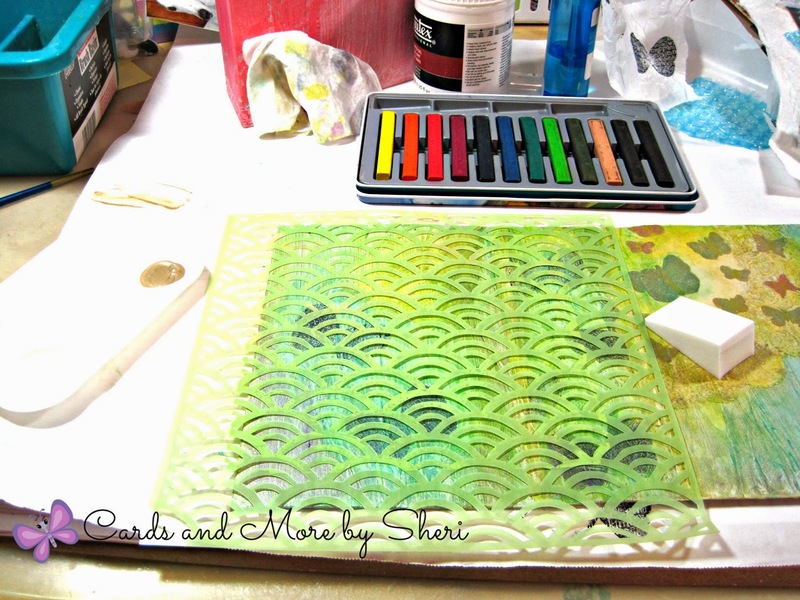 I dabbed the paint through the stencil with a makeup wedge. This paint is translucent and shimmery and it did ultimately add a nice effect to the cover. I stayed away from the baby food butterflies and the doily sun. Oh boy. At this point, I realize I need to stop fiddling with the cover. It's not going to get any better and I am NOT going to like it any more than I do now, which is not at all. So I move onto to embellishments. 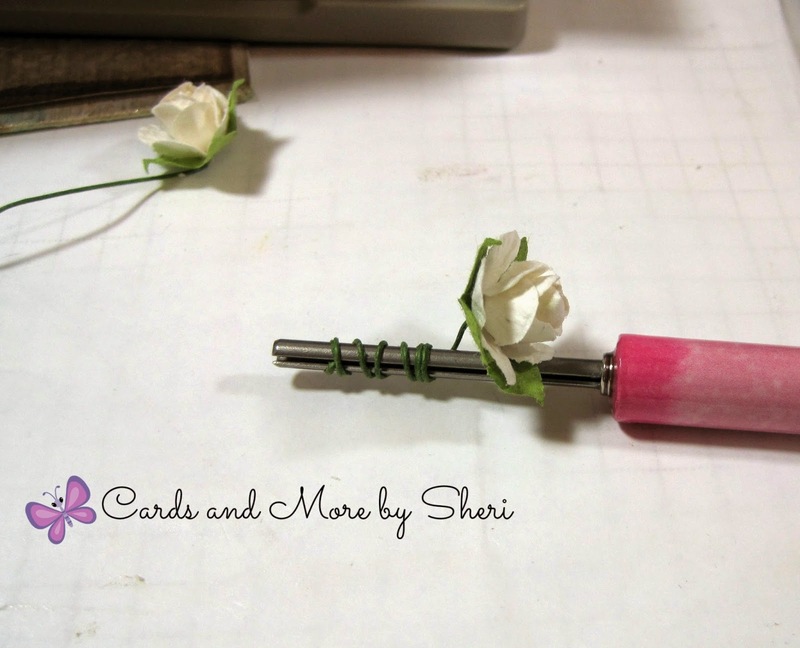 I took some Recollections paper flowers and, rather than cutting their wires off, I used my paper bead tool and coiled them. Neat, huh? I then took my Prima Color Bloom Spray in soft teal and dabbed some color on. I later go back and add a bit of the sorbet spray also for some golden yellow highlights. 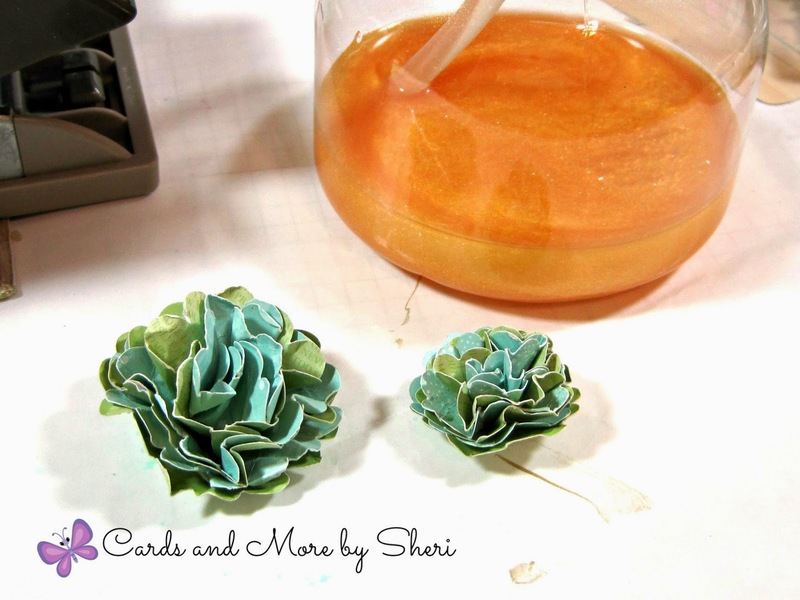 I also took some of the ruffled scallop flowers I made (tutorial below) and spritzed them with my homemade shimmer spray. Unfortunately, I think I need to tweak my formula on this stuff because it never sticks as much as I want and it rarely shows up in photos. Bummer. Now I realize this has been a very photo-heavy post. So in the interest of sparing you five bazillion more pictures, I made a few collages. First up...the finished cover. Guess what? I like it now! Next up, the interior signatures, pages, pockets and tags. 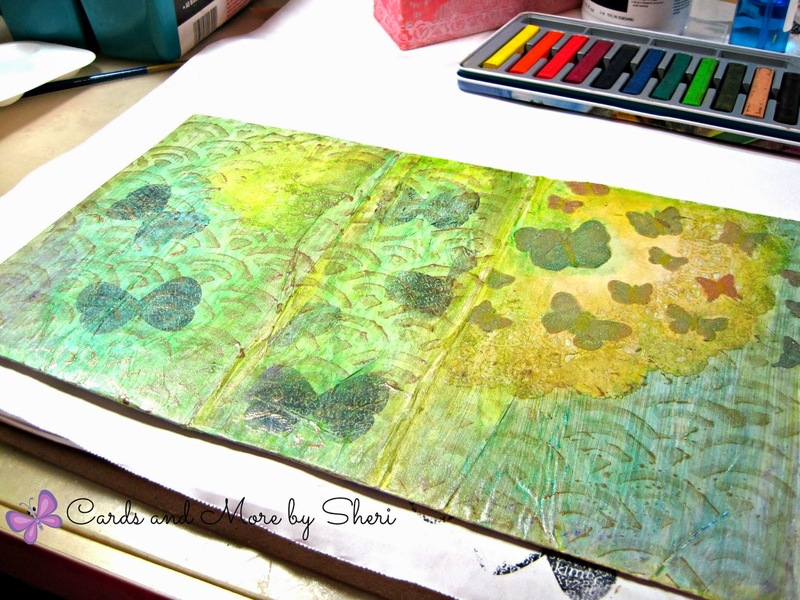 I always seem to keep the stamping and embellishments very minimal in these journals. I know they are going to someone else, and I want them to have the freedom to add and personalize as they see fit. I could have maybe added a signature or two for this one. 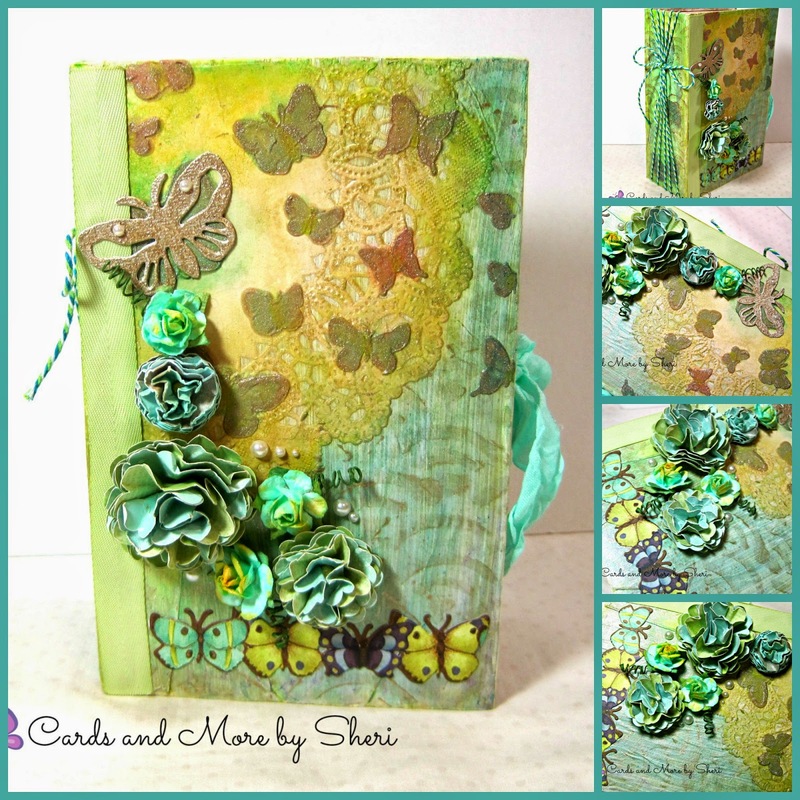 Instead, I like to think of it as having left LOTS of room for embellishments and other goodies for its future owner! 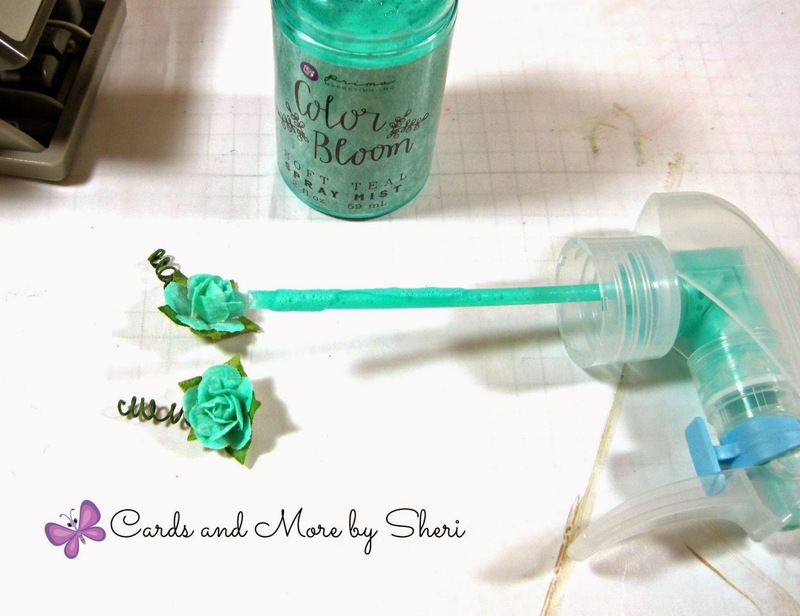 Up last, that paper flower tutorial I promised. If you follow the pictures around from the top right to the bottom left, that's my process in order. Very simply put, I punch some pretty papers with my scallop circle punches. In this case, I made three different size flowers, each with six layers of paper. Scrunch them up and then flatten them out and pierce them in the middle, then add a brad. I chose sparkly yellow ones for these flowers, but it doesn't really matter because most of the time you can't see the brad anyway. NOTE: If you use heavy papers or card stock, it helps if you will spray them with a bit of water before scrunching them up. After you attach the brad, start scrunching up each individual layer around the brad as tightly as you can. 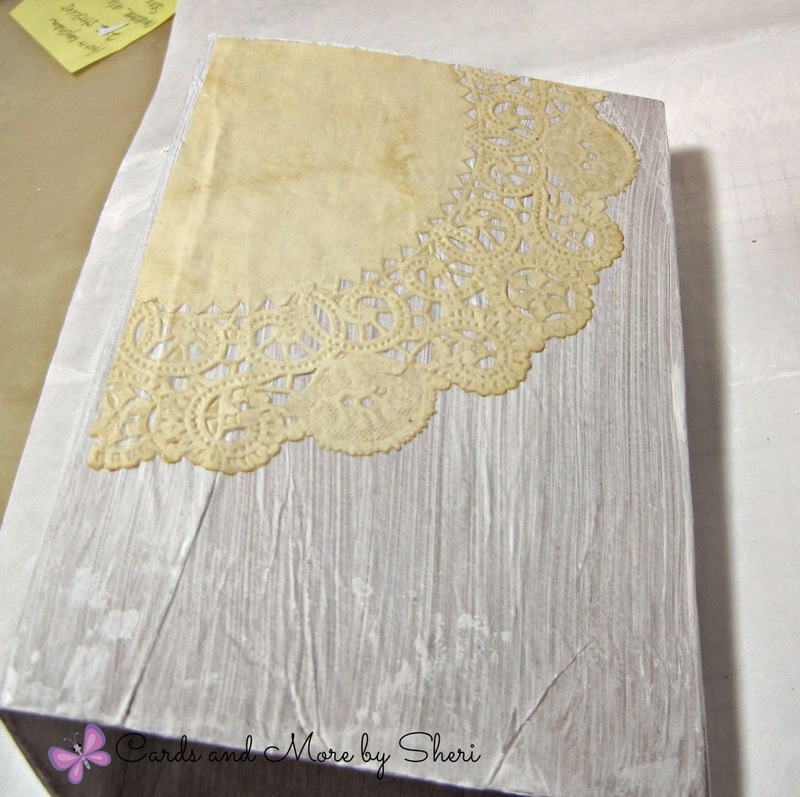 When you've finished that, you can open it up a bit and situate your layers like you want. 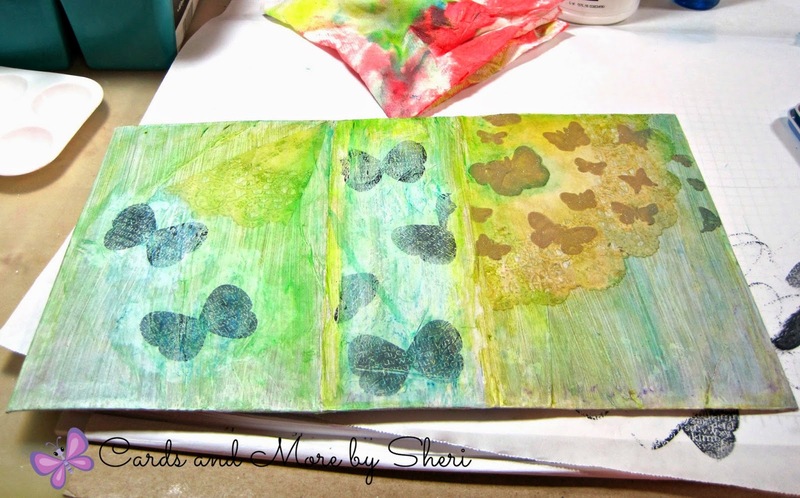 At this point, you can spray with color sprays or shimmer if you want, or even add a bit of ink or glitter to the edges. It's totally up to you. Voila! 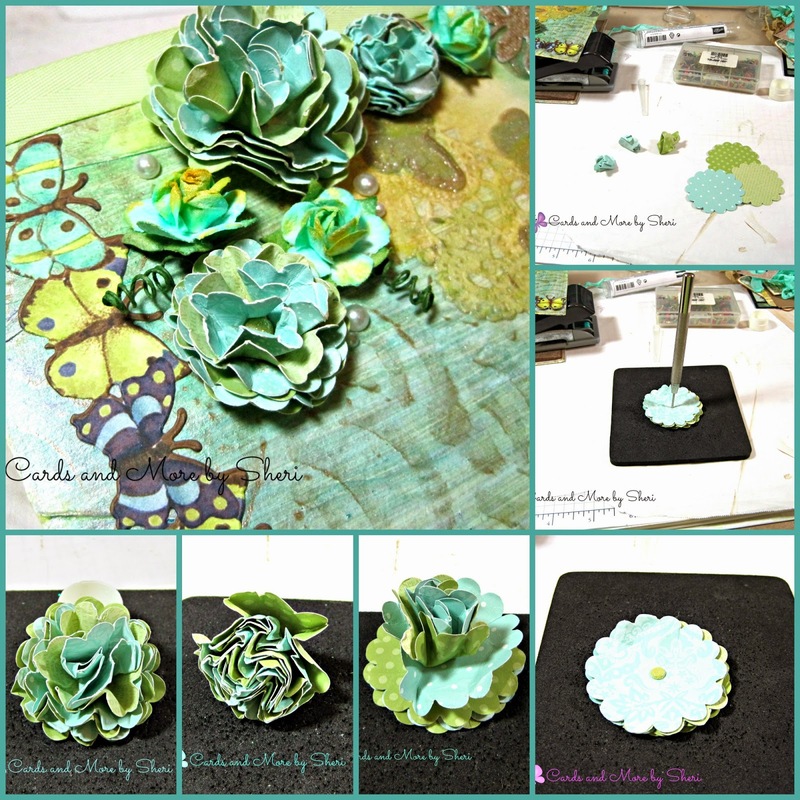 Ruffly scalloped paper flowers! You're welcome. If you've made it to the end of this post, you deserve a gold star for sure! So what did YOU work on today? 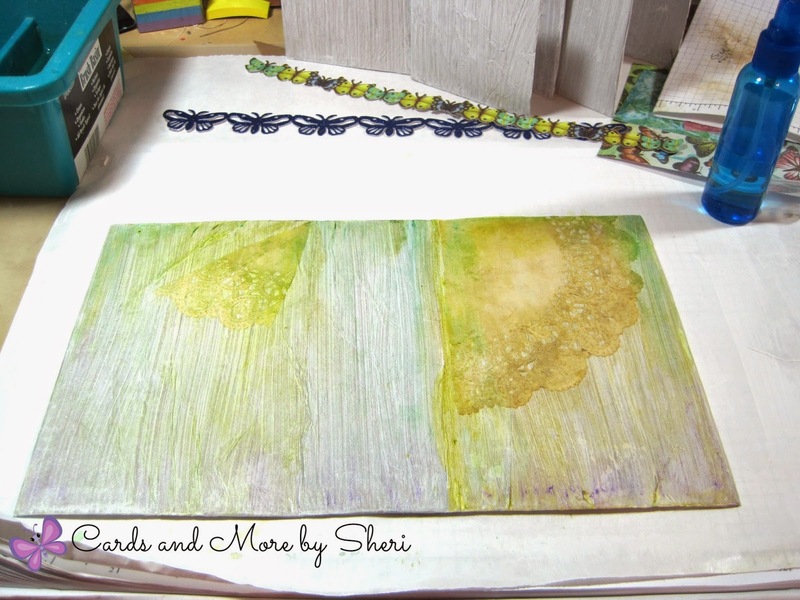 Good post, Sherie! I feel your pain...I feel the same way about all these new materials! So many of them and as I collect stuff, organizing and remembering to use it becomes an issue! Nice journal, and the cover turned out! I love the colors! So pretty to think it was a plain box before!